I joined a webinar “What does a Conservative government mean for education? Sponsored by OCR” with the Secretary of State for Education – Nicky Morgan, Jonathan Simons – Head of Education at Policy Exchange, Paul Steer – Head of Policy at OCR and Schools Week editor – Laura McInerney. Well done schools week for the first of its kind webinar which provided me and many others with an education forum that was easy to access. Jonathan Simons explained the Government’s big push on Education in the first days of Government and how they could build on their first term in office. He talked about how schools would not be able to “coast” and that schools would have to achieve and make progress in the future. The Queen’s speech would set out bills for childcare and coasting schools. Paul Steer from OCR spoke about the decoupling of AS and A level exams, about the new GCSE’s, their grading and progress from KS2 rather than absolute outcomes. I had submitted a question to the webinar asking about children using laptops in exams. In the Times newspaper there was an article where a loophole had been exploited and that children had been permitted to use laptops in exams. Paul Steer had mentioned this topic and was about to answer my question whether the loophole would be closed or whether this was the start of new policy when Nicky Morgan arrived and unfortunately there wasn’t time for an answer. The Secretary of State made it clear that Education is a priority of the Government and that every child should have the best start in life. Schools that are failing or coasting will get the help they need for improvement. The schools that don’t improve will become academies and the bureaucracy will be cleared to ease that outcome. Nicky Morgan made it clear that OFSTED will be coming back in house and that judgements of a school would not only be based on an OFSTED inspection. There would be a consistent basis for judgements with accountability. I had submitted another question to the webinar asking about minority language exams which OCR had threatened to drop due to a lack of demand. 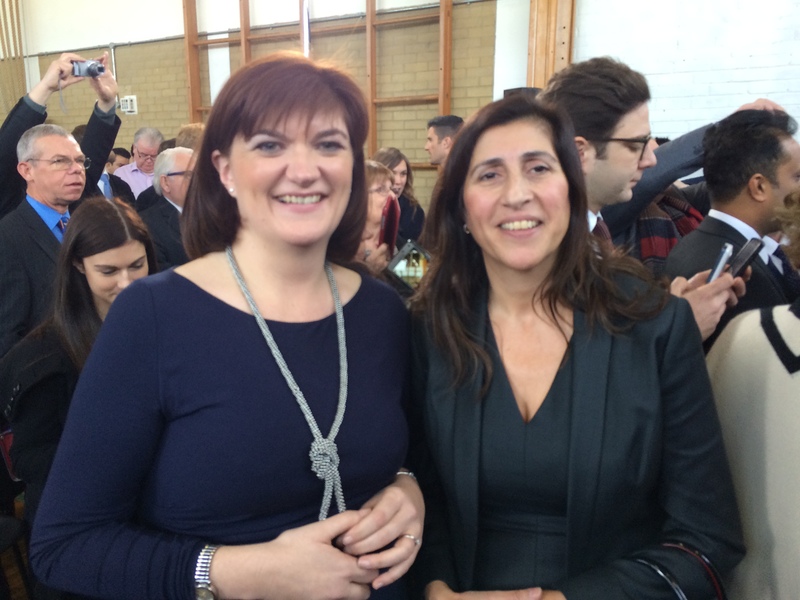 The Secretary of State said that she supported maintaining the exams for minority languages. Good news for all of us supporting this campaign and particularly Londra Gazete who launched the campaign and T-Vine who supported. Well done Schools Week and I hope to get my question about laptops in exams answered at a later date or the next webinar.